The most exciting part of a new year, for me at least, is finding out what the upcoming trends are going to be. I love looking through images from the runway, deciding on the trends that I think will suit me best and putting them into practise! The makeup trends for me this year are good but not exciting! It is obviously a lot harder to experiment with makeup as carrying over certain looks into our day-to-day lives may not work too well. I feel as though not much has really changed from last years runway shows. I am however, excited for all of the latest makeup releases which will of course, make experimenting with these trends much more fun! 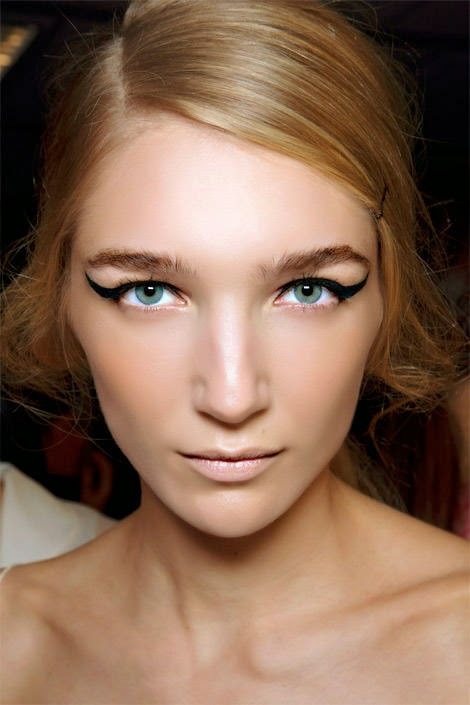 Intense liner is due to be all the rage again this year. Personally, this is my favourite makeup look, ever! It just does something so beautiful to the eyes, accentuating the natural beauty of each and every eye shape. I don't go for the intense look as I feel this is one look that does not carry well into day-to-day life as mentioned above. I will be rocking this trend, most likely, on a daily basis! Fresh faced makeup was big in 2013 too if I remember correctly. This trend is all about keeping it natural and looking dewy/refreshed. This is always a beautiful look, especially if you have the gift of beautiful skin. I have days where I need a lot of foundation coverage and days where I will just add concealer. If you would like to try this look then I suggest using a concealer (if needed) to hide any dark shadows or redness. For blush, I would use a tinted lip and cheek stain and dab a little onto the lips and cheeks, gently blending it into a seamless fade. If you like to accentuate your lashes but want to keep it looking natural, apply a few strokes of brown or clear mascara to lengthen and separate. I remember when orange lips first became a thing. I will admit that I was not a huge fan but now that most cosmetic companies have released many shades of this trendy lip colour, I actually really love it! It's not about going all out and looking like somebody coloured your lips in with a crayon, it's about finding that right shade of orange for you. May that be to compliment you skin tone or your personality, have a little experiment! 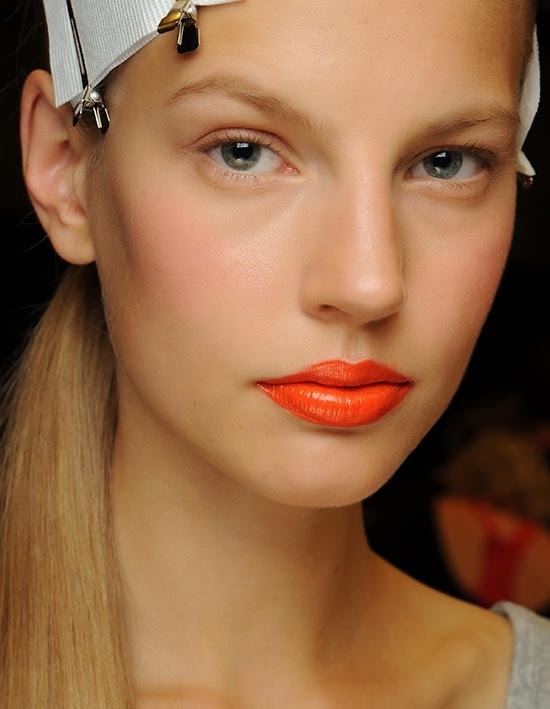 Orange lips look great on those summer days with a nice sun-kissed tan and a dab of bronzer. I can't begin to tell you how much I love pastel shades! I love any "baby" shade and love how they look on the eyes lately. My personal favourite right now would have to be pastel pink as it just opens up the eyes, making you look awake! 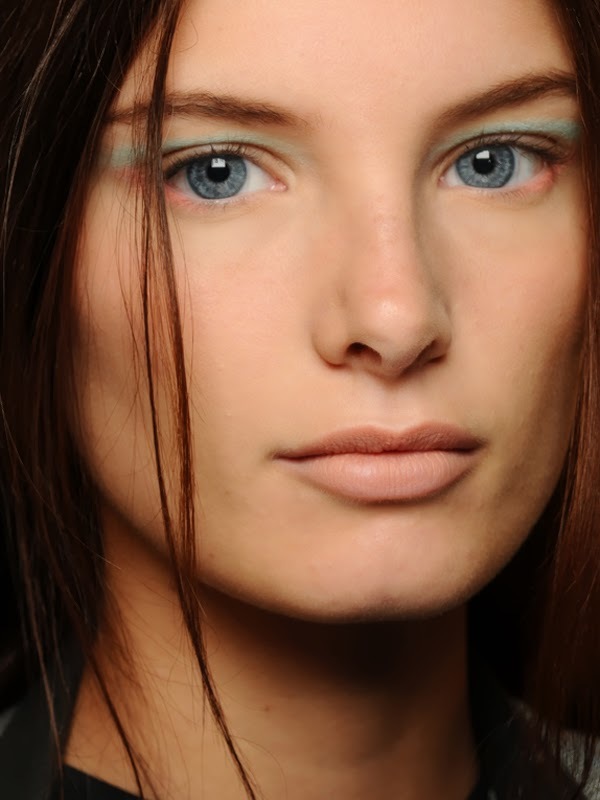 The current pastel trend entails dusting one shade over the entire lid, I would maybe add a little something extra by creating a small winged liner.